Bike Outlet are delighted to present the brilliant Urge Drift Full-Face Helmet. With so many on offer today, it is wise to have a name you can trust. The Urge Drift Full-Face Helmet is certainly that and will be a great acquisition. For this reduced price, the Urge Drift Full-Face Helmet is highly recommended and is always a popular choice for most people. TRJ4P have provided some great touches and this results in good value for money. 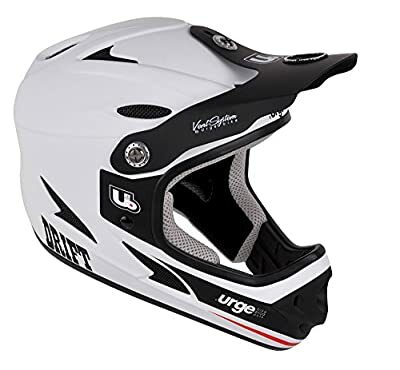 The Urge drift helmet is the helmet ideal for Enduro, DH and freeride outputs, it is equipped with a heavy duty case is made from polycarbonate. This helmet provides excellent defense and a high level of comfort thanks to its lightness and ventilation. Ideal for Enduro, DH and freeride. Expanded polystyrene (EPS) foam lining. Injected polycarbonate shell. Adjustable visor. CE1078/CPSC certified. Removable lining.